"Handmade Wetsuits Just For You." 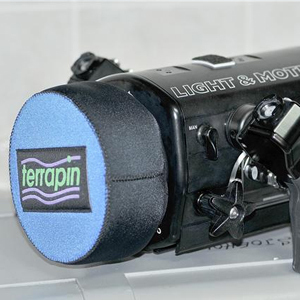 Terrapin Wetsuits is the oldest U.S.-Manufacturer of wetsuits (established in the UK in 1979 under Terrapin Aqua Products ltd, and moved to USA in 1980). Yes, there are older wetsuit companies, but they now make their wetsuits in China or other Asian nations. Our wetsuits and accessories are all build right here, in Texas, by owner Chris Summers who has been a diver herself since 1970. Terrapin constructs truly custom fitted wetsuits for both men and women of all shapes and sizes. This is accomplished by either building a new suit from the latest technology in Neoprene or Polartec where you choose the colors and style, or by customizing a pre-manufactured suit. Either way, your suit will be tailored to your exact body measurements. We want to make sure your custom wetsuit fits your every need. From the color(s), to the patterns and designs of your liking, as well as the size and shape of your body; Terrapin Wetsuits is the only U.S. Manufacturer of wetsuits that includes a custom fitting step in our process, to make sure your custom wetsuit fits perfectly. Can a Wetsuit be Altered? “Absolutely yes!” We know that sometimes you grow (or shrink) and your wetsuit doesn’t…so we provide expert wetsuit alterations to prolong the life of your wetsuit and maximize your diving comfort and protection. We can add zippers and pockets, make repairs, renovate wetsuits, add special features for adaptive or handicapped divers, produce matching accessories…in general, offer the kind of custom work usually unavailable anywhere else. Terrapin offers Wetsuit Repair for all manufacturer’s wetsuits, triathlete suits, water-ski suits, dive skins, and polartec suits. 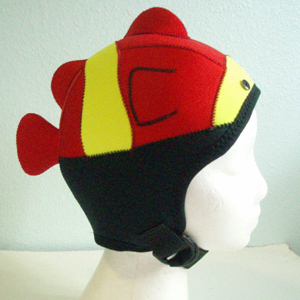 We’ll be happy to work with you to find the best solution for both your diving comfort and your pocketbook. Telephone consultation is free, so contact us to discuss your suit’s condition to determine if it should be repaired, altered, or replaced. Want to know more about the “guts” of your wetsuit? 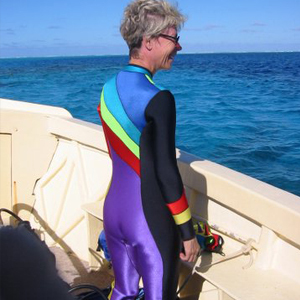 Click here for a description of the Wetsuit Materials we use.